Archaeologist Dr. Lou Fitzgerald is used to unexpected happenings, and they don't usually faze her. After surviving a childhood disability, and dealing with an unfair boss, Lou has learned the art of rolling with the punches. But when she arrives at Dark Lake, what was supposed to be a simple archaeological dig is beyond even her wildest imaginations. 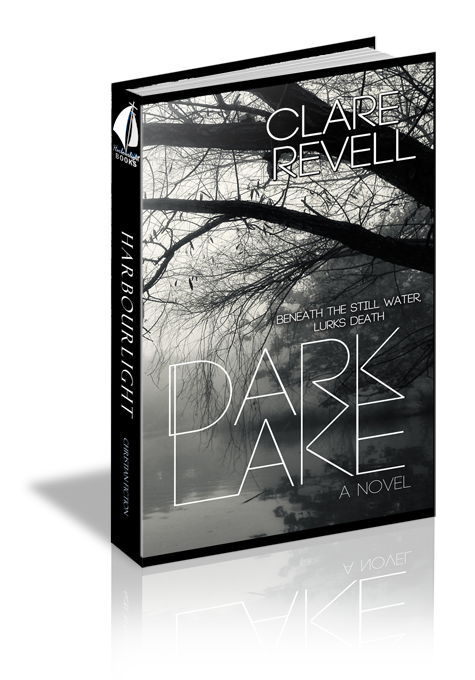 Land owner Evan Close has his own reasons for keeping the secrets of Dark Lake, and this attractive interloper is a menace. Her precious dig threatens to bring his house of cards tumbling down around him, and he feels helpless to stop it. It soon becomes apparent there are dark forces at work, and Lou's simple assignment turns into a mystery. Solving that mystery comes with a steep price. Lou grinned. “Jim, you know very well you’re the one who loses phones, not me.” She tugged over the computer chair and sat. Captain Jim Kirk, all joking about the TV program aside, was one of her best friends. She’d always hoped they’d end up together, that her teenage crush would be reciprocated and progress into something more, but that hadn’t panned out. The friendship however had remained, cemented by their teenage jaunt across the world. Lou chuckled. “It’s what aunts do. And how is Ailsa?” Despite the fact Jim’s affections had gone elsewhere, Lou was very fond of his wife. “Congratulations.” A surge of jealousy flooded her before she tamped it down. She’d always imagined a family of her own by the time she reached her mid-thirties. But some dreams were never to be. Choices made early on in life put paid to that. A lot of noise came from outside, and Lou frowned. They knew she preferred silence on a dig. Rowdiness led to mistakes and precious objects being damaged. Running footsteps crossed to the van and the door flung open, letting the heat and light into the darkened room. His enthusiasm was catching. “Be right there. Jim, I gotta go. I’ll leave my phone on tonight. Call me when you get up, and we can chat properly. Yes, there is a phone signal in town before you ask. Give Ailsa my love. Bye.” She put the phone down and stood, tugging her cap on firmly. Reaching behind her neck, she tugged her long ponytail through the gap at the back of the hat. She headed outside in several rapid strides, putting on her sunglasses. “So what’s up, AJ?” She pulled her cap down over her eyes, the peak shading them from the bright sunlight. “We found something you need to see.” He set off at a trot towards the trench. Lou hurried after him, grateful this prosthesis was a better fit than the last one she’d had, and she could keep up. No one on her team knew about the disability, and she intended to keep that information to herself. The last thing she needed was to be called Long-Lou-Silver or Hop-a-Long Louisa. Her stomach churned, and her mind whirled. There was an underlying current to the dig site that hadn’t been there ten minutes ago. Had they finally found what they were searching for? “This had better be good,” she teased. Resisting the urge to jump, Lou climbed down the ladder, her breath hitching with every step. She crossed to the uncovered stones she’d been working on the past few weeks and dropped carefully to her knees. She pushed the last remaining earth away and stared in wonder. This was it. Her very own ‘Eureka!’ moment. An hour later, Lou scowled as someone blocked her light. “Do you mind?” she grumbled. “No, actually I don’t.” Varian Sparrow’s voice made her jump.